The economy of the coating equipment of this ID powder booth system combined with the professionalism of the coating result plays a major role in the trade and industry when powder coating. 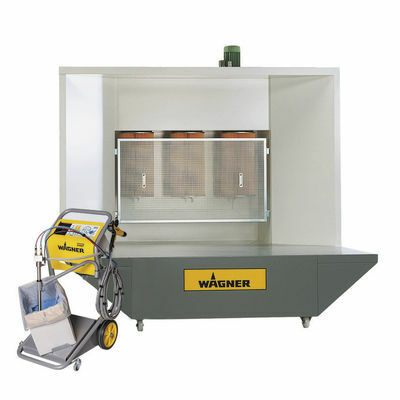 Complying with important safety aspects, facilitating a fast changeover to a new color and providing almost 100% of the paint material are all contributions to the high performance of WAGNER’s ID booths. All aspects, including preparation, supply and powder recovery, are integrated from a single source. The closed powder cycle has 100% recovery. The mobile ID powder booth system offers a high suction performance of 4,000 m3/h with horizontal conduction of the air. 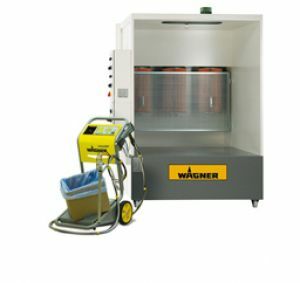 Powder bounce-back is avoided with the large extraction grid which provides clean working systems.